With yarn straight from my stash, I knit this baby blanket in less than a week. It’s a 30 inch square using the traditional Grandmother’s Favorite dishcloth pattern. 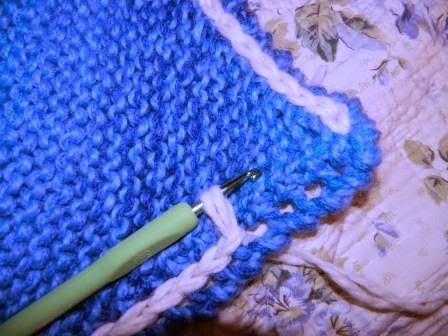 This blanket is really soft as I knit it with Alpaca Co Snuggle and a strand of Ella Rae Seasons held together on a U.S. Size 15 knitting needle. The Ella Rae seasons is the colorway called Ocean/Sky and is shades of blue that go from turquoise to a deep blue. It added a nice shaded effect to the blanket without being overpowering. 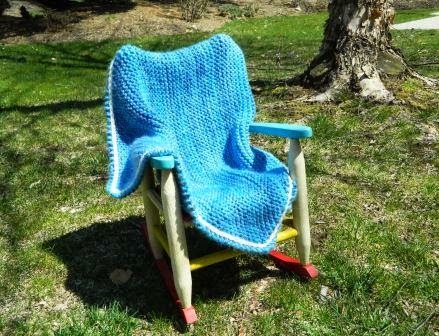 The edge is crocheted with two strands of Snuggle held together and slip stitched through the holes created on the edges. This is inspired by this Pinterest picture. I’ll be using this edging again. 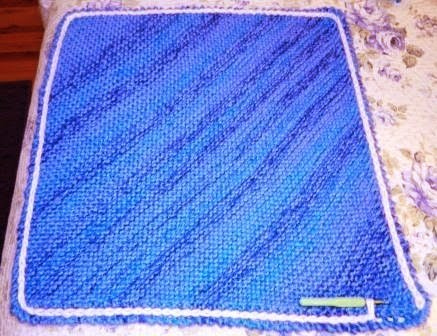 It gives the blanket a firm border and color contrast. This blanket is being added to my Cedar chest and next time I need a baby gift, it’s all ready to go. I like to keep a finished project stash as I really don’t like deadline knitting. 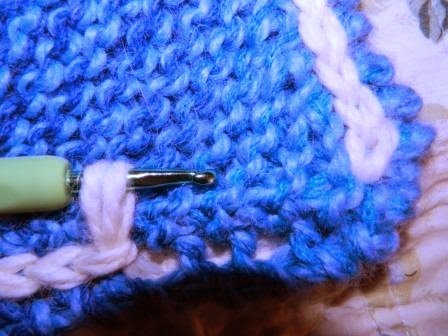 It takes the joy out of knitting for me. How about you?